Contains 47g of easily digestible protein. Great quantity of Glutamine and BCAA´s. Enriched with a blend of complex carbohydrates to help with intense workouts. 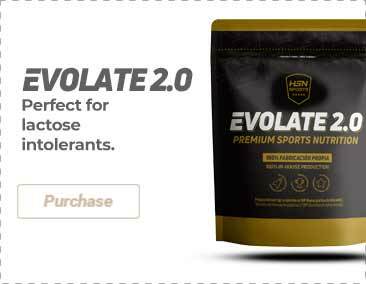 Improved with an advanced complex of 3 types of creatine (ethyl ester, monohydrate and creatine orotate) and SuperFats™ mix (includes CLA, MCT). High fibre content, low in sugar. Contains essential vitamins, minerals and antioxidants. Mass Fusion by Nutrabolics is an incredible formula that will provide you with a large amount of nutrients, everything you need to achieve explosive muscle growth. Mass Fusion will provide you with large quantities of amino acids to stimulate the synthesis of proteins and muscle growth. Contains fast release proteins (high quality milk whey and milk whey peptides) which are supplemented with slow release proteins (casein) to prolong muscle building. The slow release proteins are particularly beneficial before going to be, as by taking them at this time we will keep the body in an anabolic state for approximately 9 hours. With Mass Fusion your muscles will be constantly nourished, even when you dont have the opportunity to consume the necessary number of meals. Matrix ™ Waxybolic carbohydrate (hydrolysed and fractionated Waxy Maize starch, glucose polymers, crystalline fructose, hydrolyzed rice syrup, trehalose), MASSFUSION ™ Penta-amino sustained release Stage [spectrum whey protein hydrolyzate, casein hydrolyzate, Cross- flow microfiltered whey protein isolated milk, micellar casein, concentrated whey protein, L-glutamine, L-leucine, L-isoleucine, L-valine, L-glycine), complex metabolic SuperFats ™ fatty acid (acid from conjugated linoleic sunflower oil, medium chain triglycerides of coconut oil, non-dairy creamer (sunflower oil, corn syrup solids, sodium caseinate, mono and diglycerides, dipotassium phosphate, tricalcium phosphate, soy lecithin, tocopherols), natural and artificial flavors, xanthan gum, cellulose gum, carrageenan, sucralose, acesulfame potassium, silicon dioxide. As a food supplement, take 3 dispensers with 300 to 350ml (depending on desired consistency) of water or milk. To obtain better results take 2 daily servings; 1 serving at breakfast and another serving throughout the day. Consult your doctor before starting any nutritional or exercise program. Keep in a cool and dry place, out of reach of the smallest children.